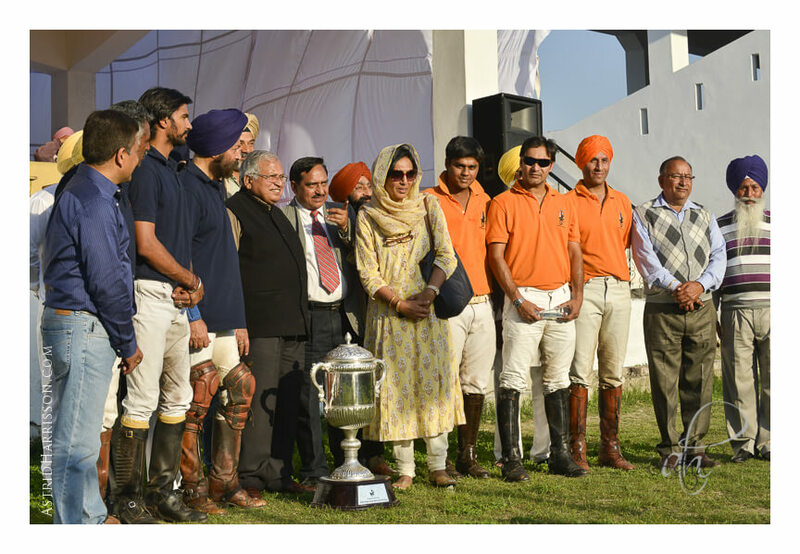 The first edition of the Sodhi Kishan Singh Memorial Polo Cup was organized by Vikram Singh Sodhi, a well known International Polo player & the Managing Trustee of Anandpur Sahib Foundation. 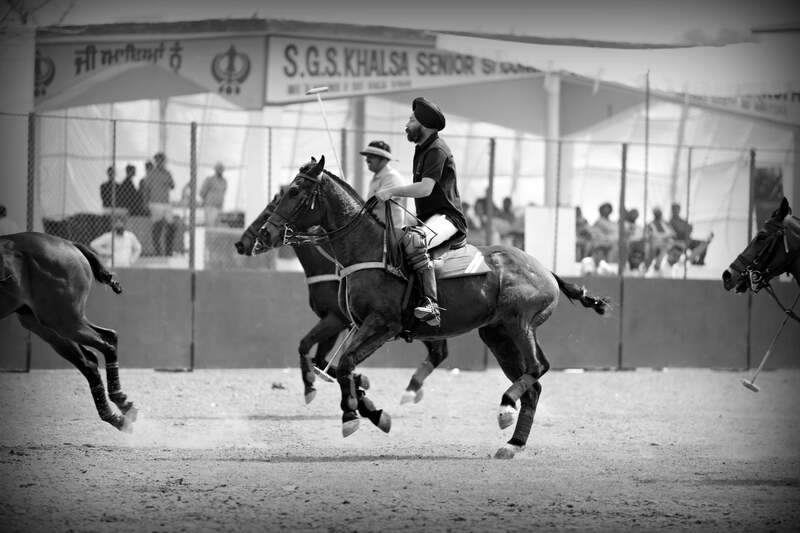 The arena polo tournament was held on the 14, 15, 16 and 17 March, 2014 at SGS Khalsa Senior Secondary School. 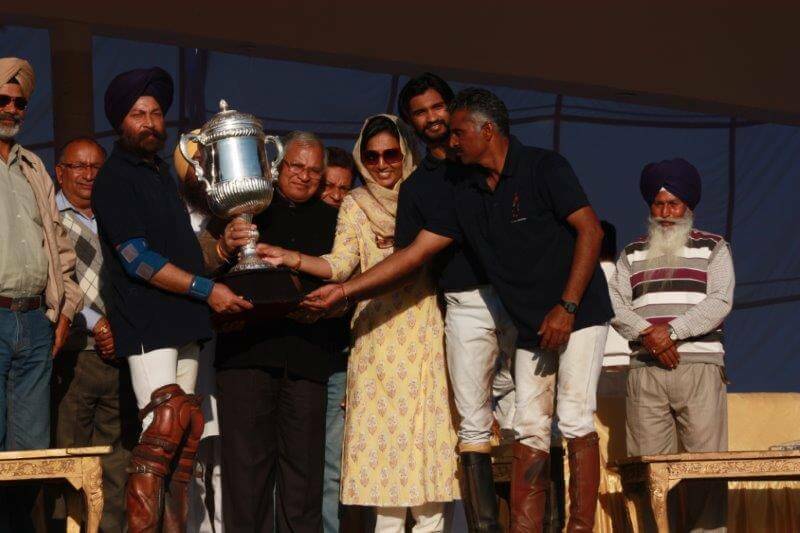 The first edition of the Sodhi Kishan Singh Memorial Polo Cup was organized by Vikram Singh Sodhi, a well known International Polo player & the Managing Trustee of Anandpur Sahib Foundation. 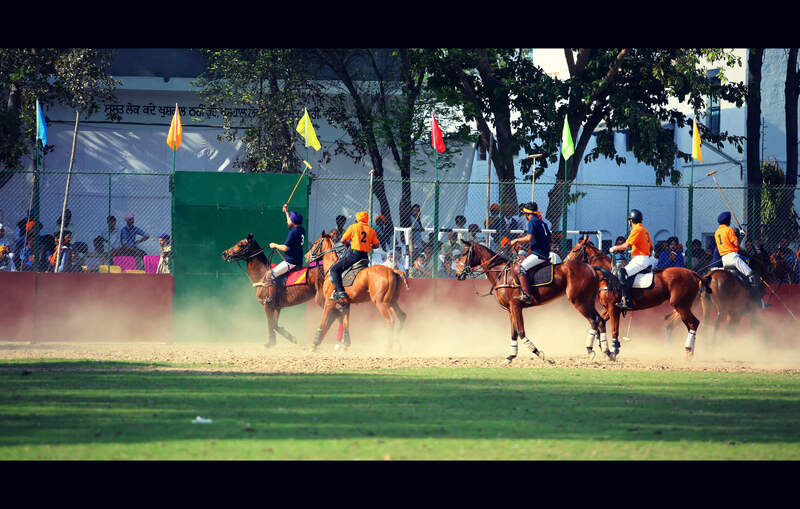 The arena polo tournament was held on the 14, 15, 16 and 17 March, 2014 at SGS Khalsa Senior Secondary School. 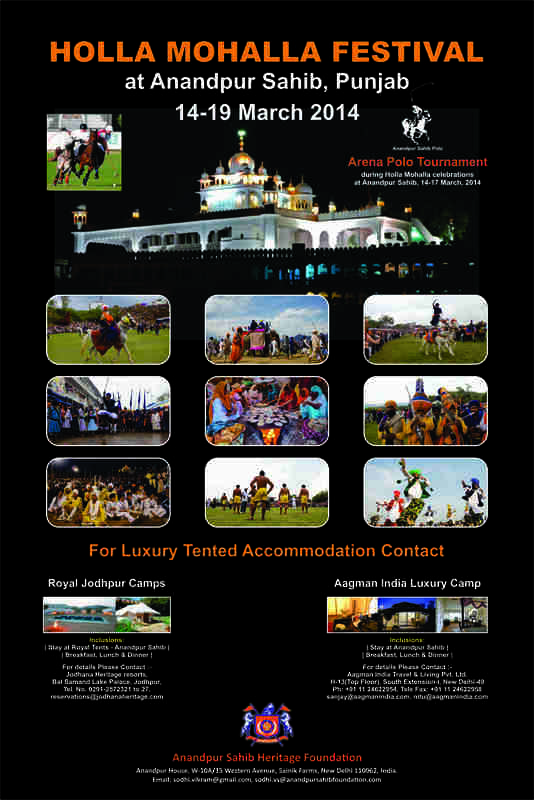 This annual polo tournament will serve to highlight the tradition of horsemanship and bring an international flavour to the vibrant festivities of colour, spirituality and dynamism in Anandpur Sahib. 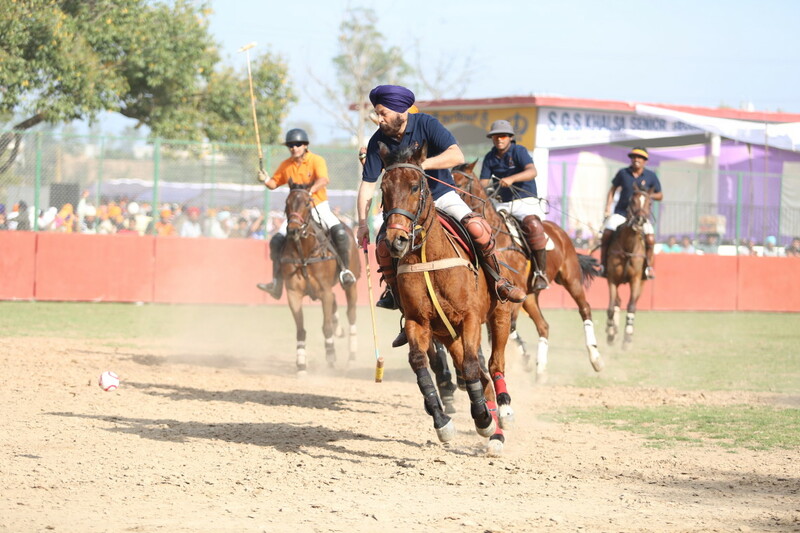 The spectacular four-day arena polo tournament was inaugurated on 14 March, 2014 by Chief Guest Singh Sahib Jathedar Mal Singh Ji of Takht Shri Keshgarh Sahib in the presence of patron Shri Madan Mohan Mittal, Minister for Industry, Govt of Punjab, other dignitaries, guests from India and abroad, and an enthusiastic local audience. 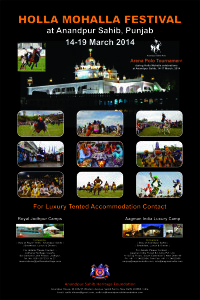 It is for the first time that audiences of Anandpur Sahib witnessed international level polo players in action. 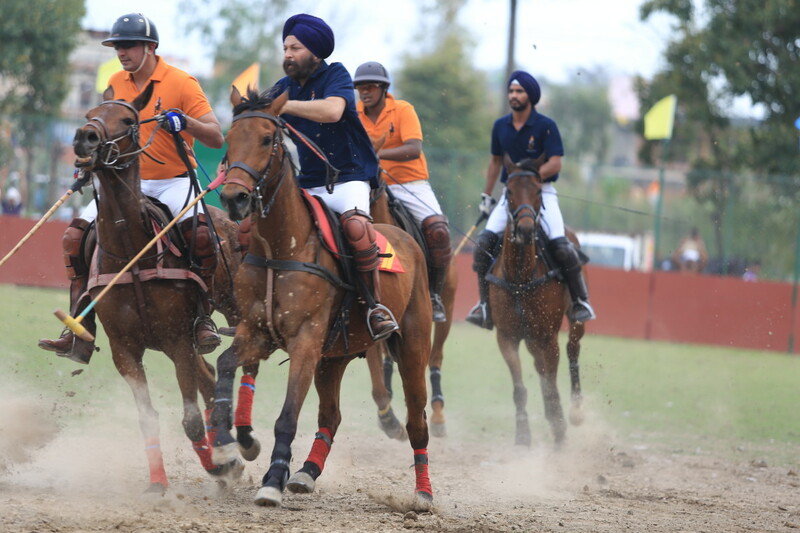 The participating teams on day one were British Airways Anandpur Sahib Polo Team (Blue) led by Sodhi Vikram Singh and Hyatt Regency, Ludhiana, Delhi Polo Team (Saffron) led by Col Pandher. 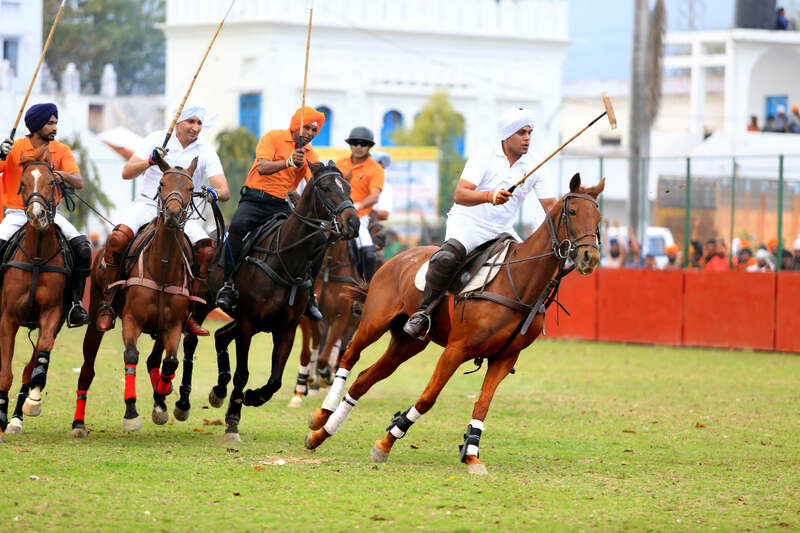 In an exciting match Sodhi Vikram Singh and his team won the match 12-7 after a brilliant show of horsemanship, tact, skill and team coordination that dominated most of the ‘chukkers’. 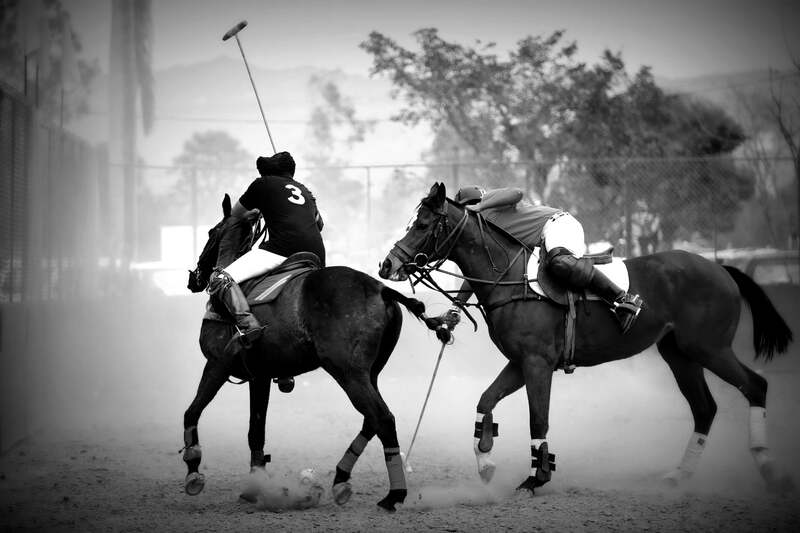 On the second day of the tournament i.e., 15 March, 2014, there were three participating teams- Anandpur Sahib Heritage Foundation Polo Team (Blue), Hyatt Regency, Ludhiana, Delhi Polo Team and the British Airways Jaipur Polo Team (White). The Chief Guests were Shri Pradeep Kumar Aggarwal, IAS, Deputy Commissioner, Ropar and Shri Gurmeet Singh Toor, (IPS), SSP, Ropar alongwith Shri Madan Mohan Mittal, Minister for Industry, Govt of Punjab. 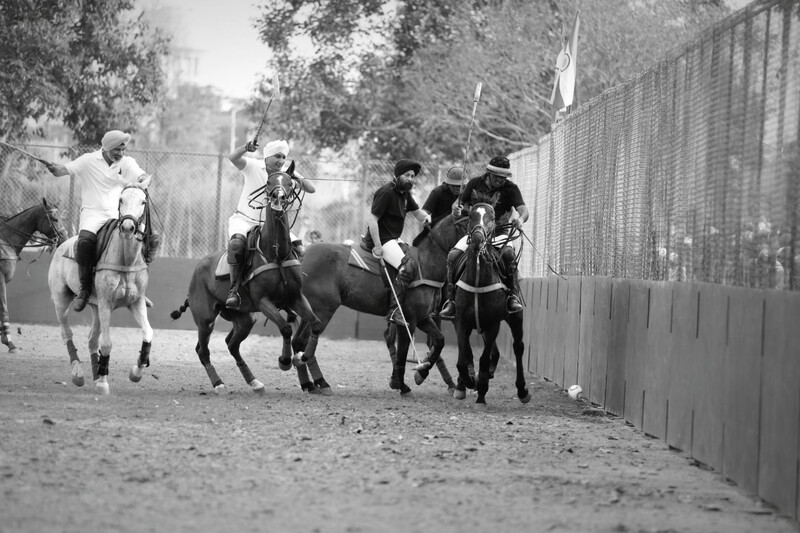 The round robin tournament began with the Chief Guest throwing the polo ball into the arena. The spectators swelled to watch the thrilling game and its skilled players. After 6 chukkers, the Hyatt Regency, Ludhiana, Delhi Polo Team (Saffron) emerged winners while the other two teams had level scores. The trophy was given away to the winners and runners up. Saropas and mementoes were also presented to the Chief guests, patron and Vivek Mittal. 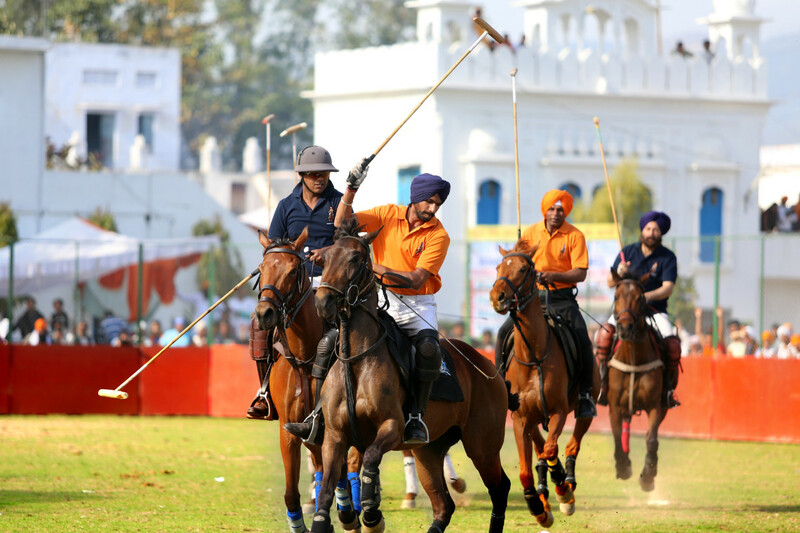 The 16 March, 2014, third day of the tournament, began at 3 p.m. as a huge crowd, dignitaries, guests, special invitees and the media waited with bated breath to watch the first polo tournament ever held in Anandpur Sahib coinciding with Holla Mohalla celebrations. 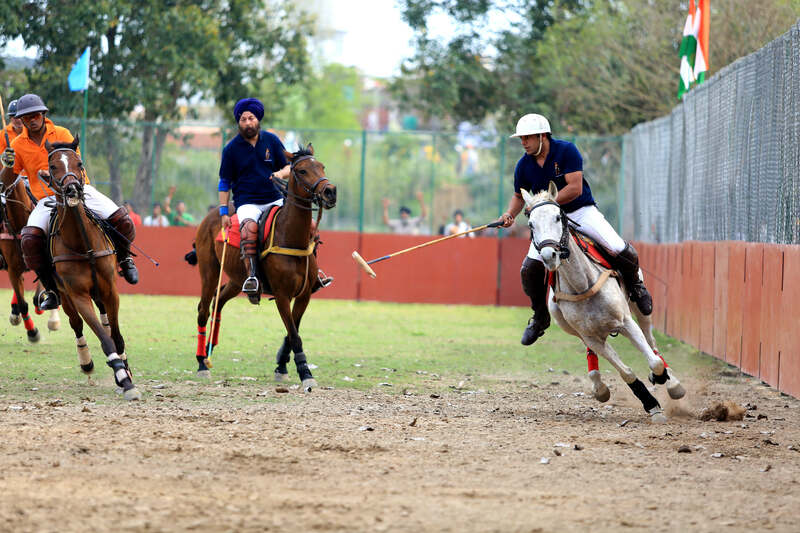 The participating teams were British Airways/ Anandpur Sahib Polo Team (Blue) and Hyatt Regency- Ludhiana/ Delhi Polo Team (Saffron). The players of the Blue team were Sachin Sarbalia, Raghav Rao and Vikram Singh Sodhi (Captain). The players of the Saffron team were Prateesh Agarwal, Deepak Udhar and Amit Sangwan (Captain). 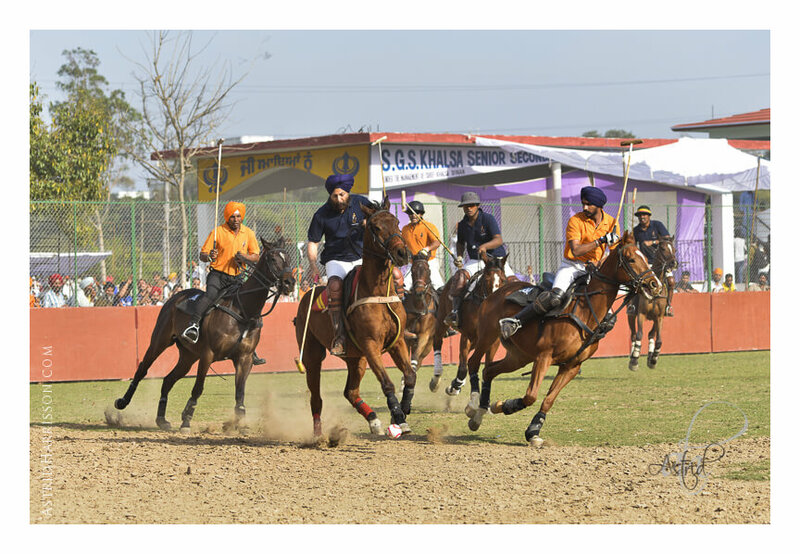 Veteran polo player and serving Maj. General Balbir Singh Sandhu umpired the game. The game began with the Blue team having the upper hand as they set the score board rolling. In a close fight, the two teams displayed the spirit of fight to finish that kept the audience, even the uninitiated, entertained and drawn into an excitement where they were totally involved with the game. As the game galloped into its final chukker, the Saffron team just managed to tip the scale in the last dying seconds by scoring a goal to win the match. The score was Blue-8 and Saffron 9 goals. Patron, Shri Madan Mohan Mittal, Minister for Industry, Govt of Punjab gave away the mementoes to the runner up team, umpire, compere and the trophy to the winning team. The last and deciding match was held on 17th March, 2014, began at 11 a.m. 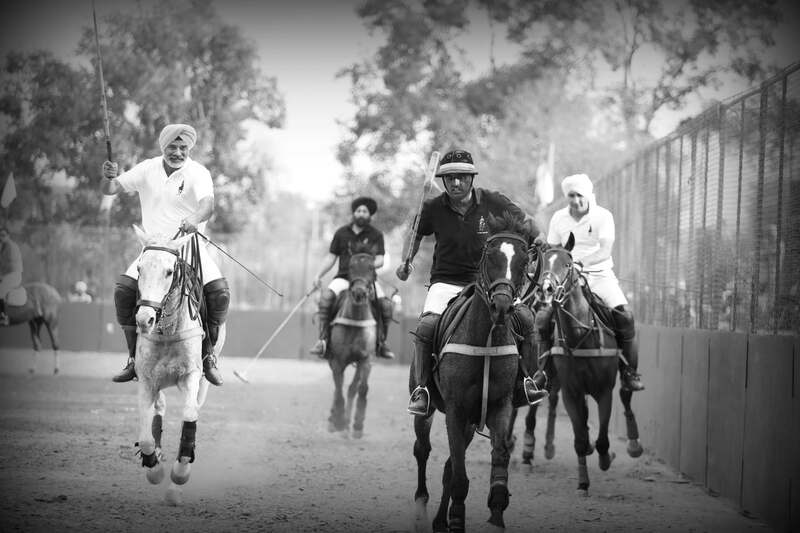 The teams were British Airways/Anandpur Sahib Polo Team (Blue) led by Sodhi Vikram Singh with Sachin Sarbalia, Deepak Udhar as teammates. 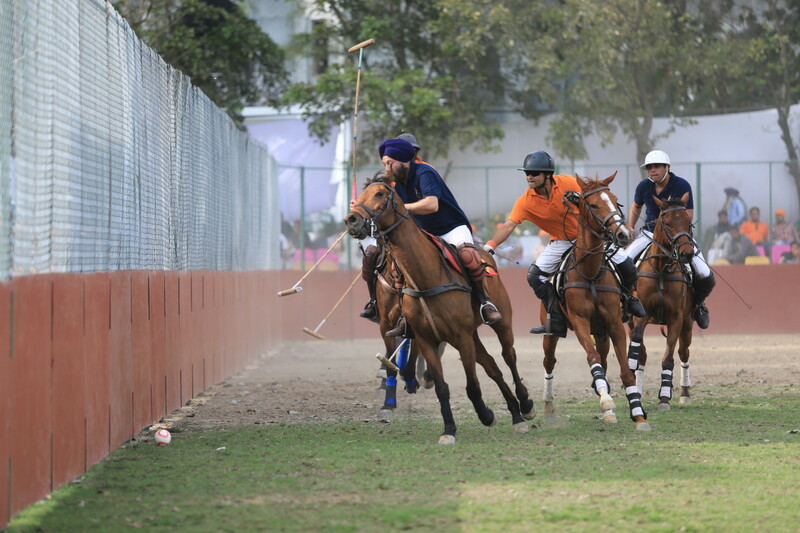 And the Hyatt Regency- Ludhiana/ Delhi Polo Team (Saffron) team was led by Amit Sangwan. His teammates were Prateesh/Raghav Rao, Sumer Singh. The match was played under the watchful umpire, Maj. General Balbir Singh Sandhu. After the first chukker when both teams scored 2 goals each, the Blue team dominated the game throughout the remaining 4 chukkers with a score of 5-3, 8-6, 10-8 and 11-10. Vikram Sodhi and his team clinched the trophy after keeping the opposite team engaged in a taut game. The event was supported by British Airways and Hyatt Regency, Ludhiana. Sodhi Vikram Singh thanked them and the local administration, patrons, media, guests and urged the public to build this unique feature brought to the town by Anandpur Sahib Heritage Foundation to add to the spirit and pride of the Khalsa.